At Faith Church, we worship God the Father, the Son, and the Holy Spirit. 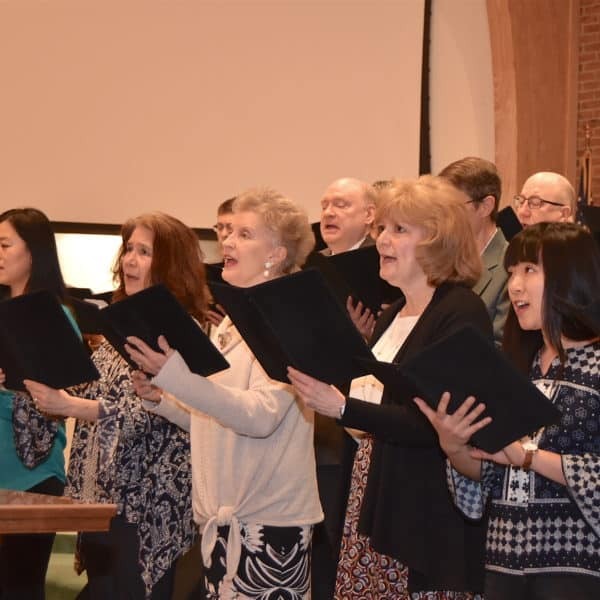 Whether it is through singing hymns with our choir, hearing special music, or singing praise and worship songs, our goal is for each service to be joyful and meaningful as we seek to meet, honor, and praise God through worship. When we worship at Faith Church, we give glory to our Lord Jesus Christ. By His grace, we leave worship as changed people ready to serve God and people wherever we are. 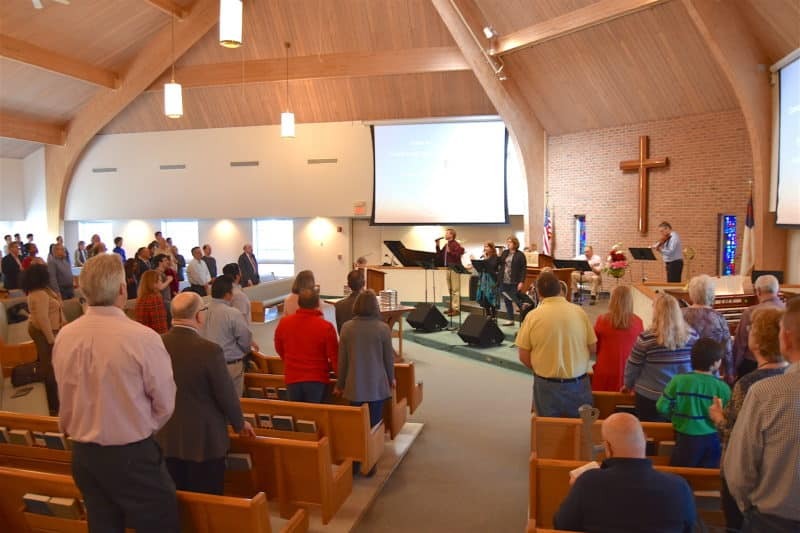 Our Adult Choir leads worship for our congregation with contemporary praise and worship music at our Sunday morning service each week. We also present annual cantatas at Easter and Christmas. We always welcome new choir members no matter what previous singing experience you may have. Our Handbell Choir participates in worship regularly. New ringers are always welcome. There are many opportunities for those who attend Faith Church to become involved in our music ministry. Our only requirement is that you have a love for the Lord and a desire to praise Him with you talents. If you have questions about our music ministry or if you desire to learn more about it, please use the form below. Want to serve through music? If you have questions about our music ministry or if you desire to learn more about ways you can contribute to our music ministry, complete the form to your right. We will follow up with more information.